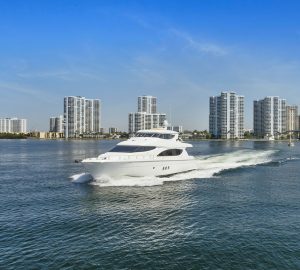 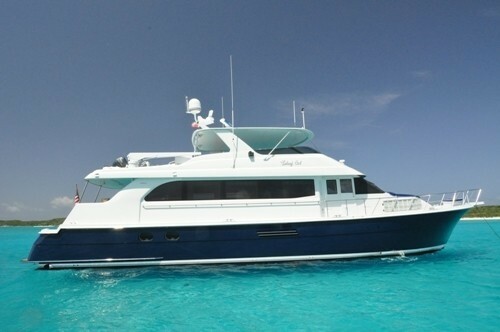 Motor yacht ISLAND GIRL was built by well-known Hatteras Yachts in 2002 and was refitted in 2010 and 2013, she measures 22.8 m (75ft). 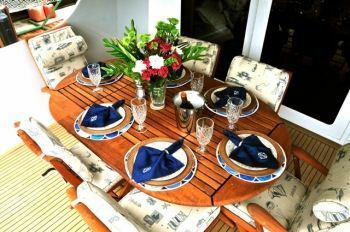 M/Y ISLAND GIRL accommodates up to 6 guests in 3 double cabins and is available for charter in Florida, The Bahamas and The Caribbean. 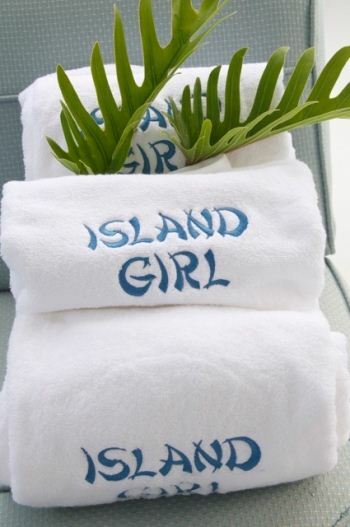 Charter yacht ISLAND GIRL welcomes guests with a warm country style décor. 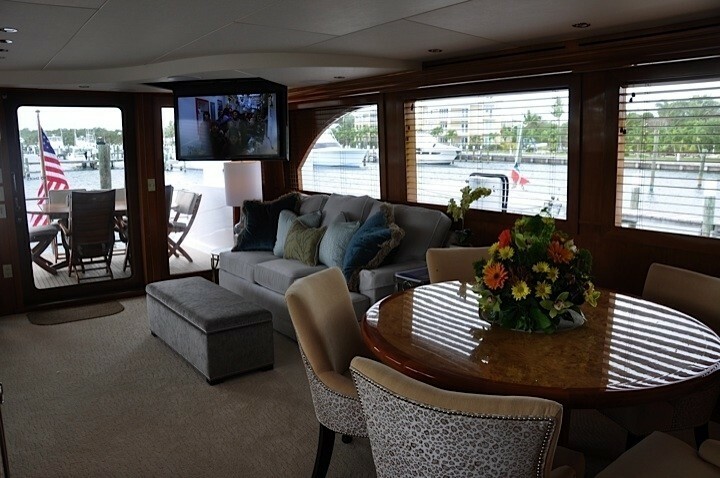 The salon is an open plan with the lounge area aft complete with light toned cool blue soft furnishings, occasional chairs and a 42’’ pop up TV with entertainment system. 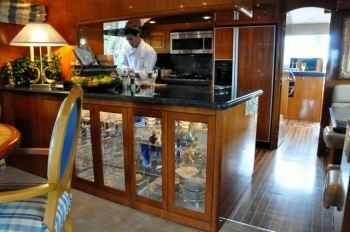 Forward of the lounge the formal dining space looks onto the open galley where guests can enjoy the chef’s crafts. 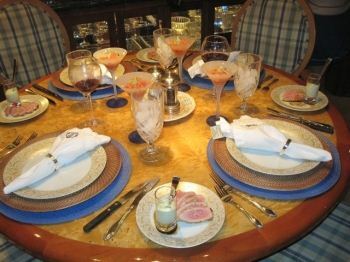 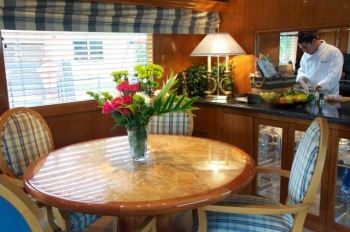 An optional country style breakfast / lunch table is opposite of the galley featuring a marble top and plush leather booth seating. 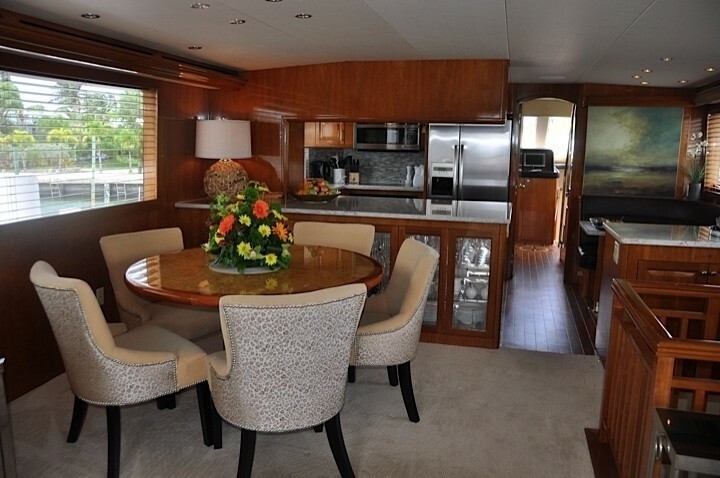 M/Y ISLAND GIRL offers plenty of external areas to soak up the warm Tropical sun. 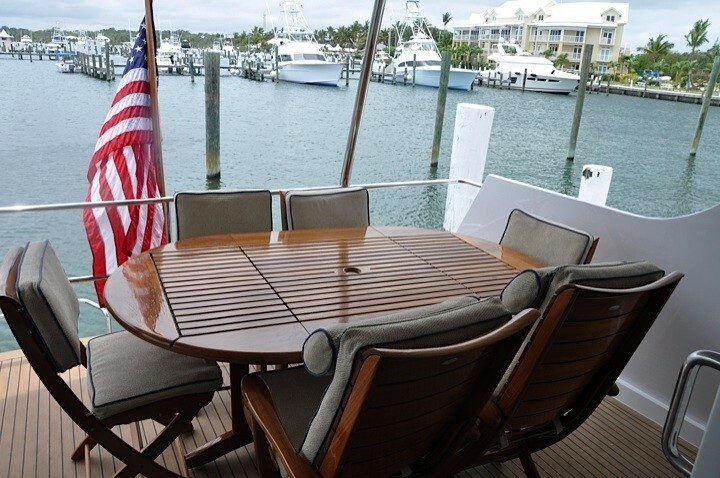 The aft deck is shaded with an alfresco dining option, further aft the transom provides a swim platform for easy water access. 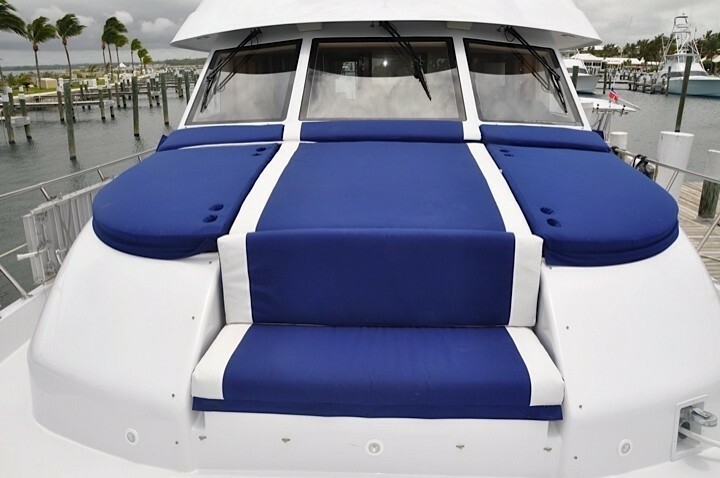 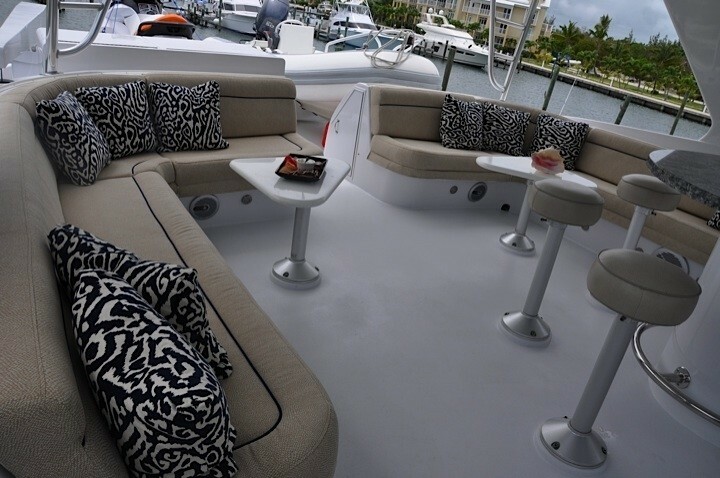 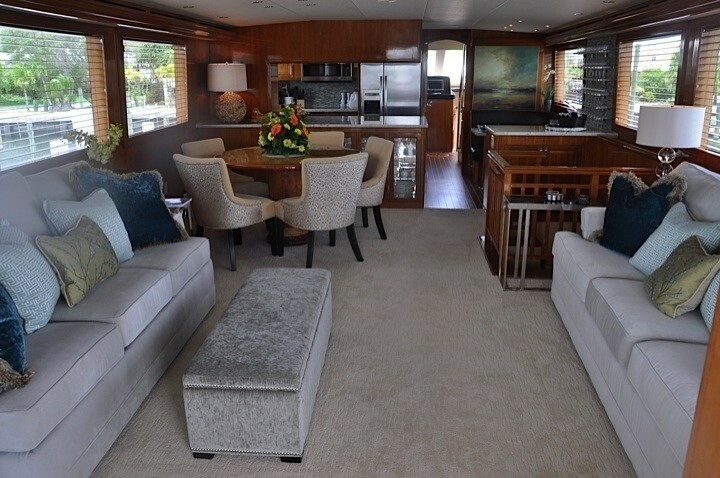 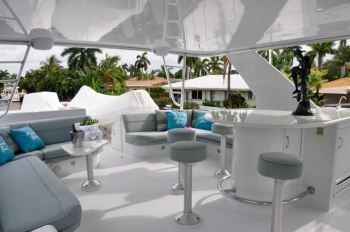 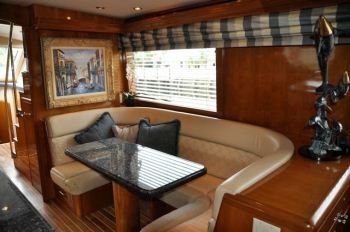 Above, the flybridge is ideal for entertaining with ample seating both on port and starboard plus a full wet bar. 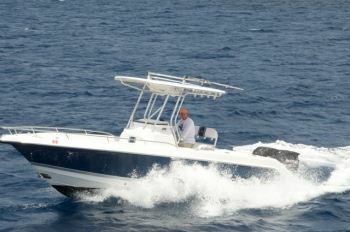 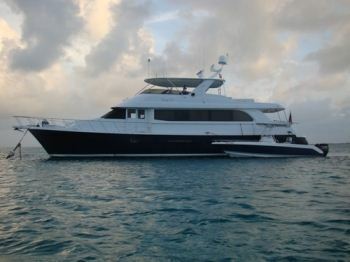 Yacht ISLAND GIRL has 2 Caterpillar 3412's 1400HP engines enabling speeds of 18 knots cruising and top speeds of 23 knots. 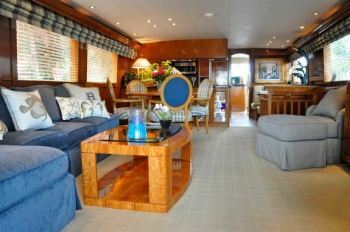 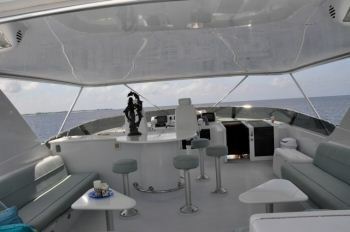 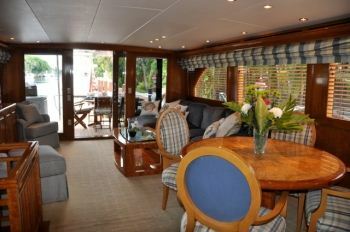 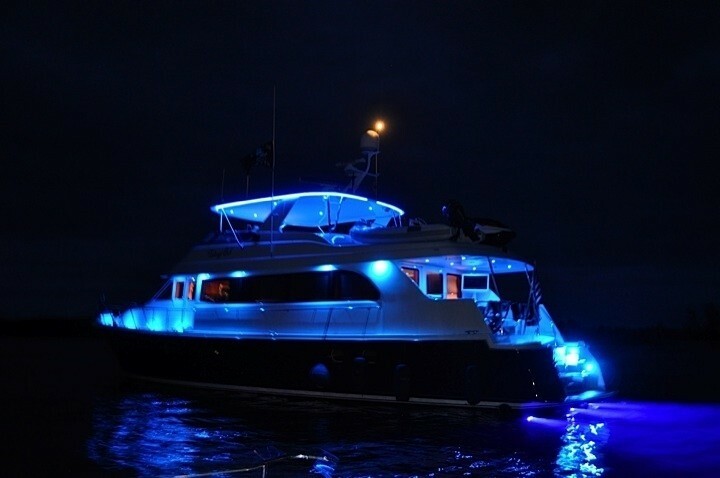 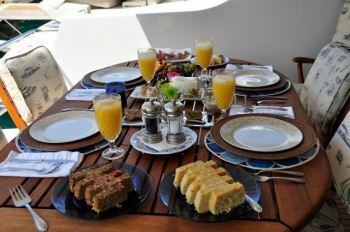 Charter yacht ISLAND GIRL can accommodate up to 6 guests in 3 generous double cabins. 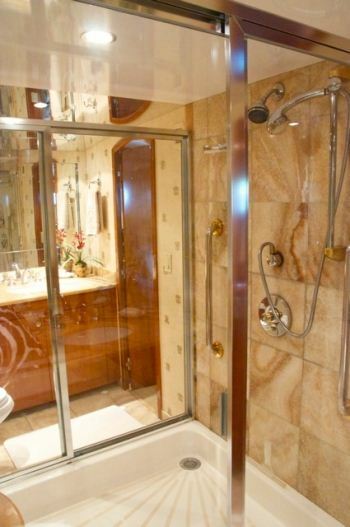 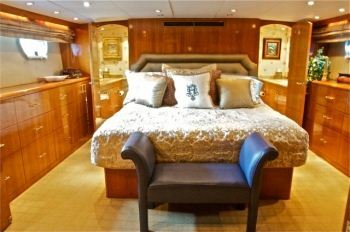 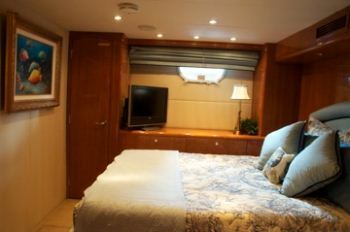 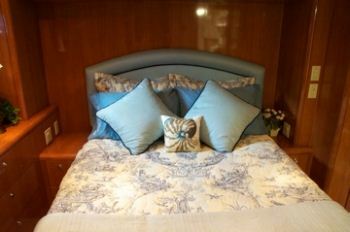 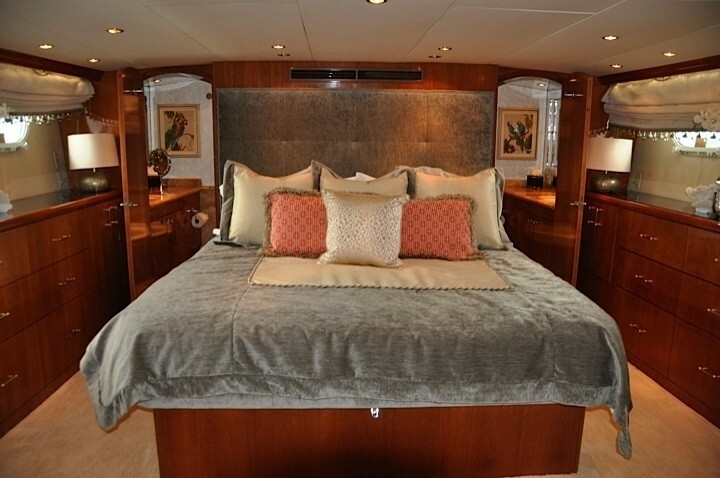 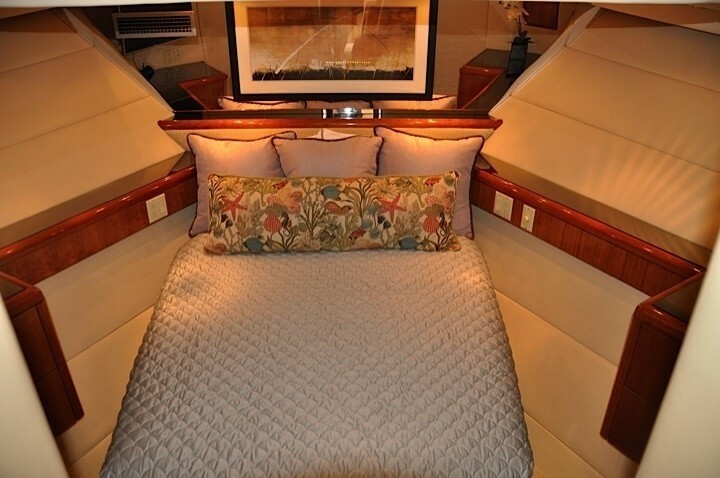 The Master suite is amidships and full beam with a king size bed, full entertainment system and his and hers facilities. 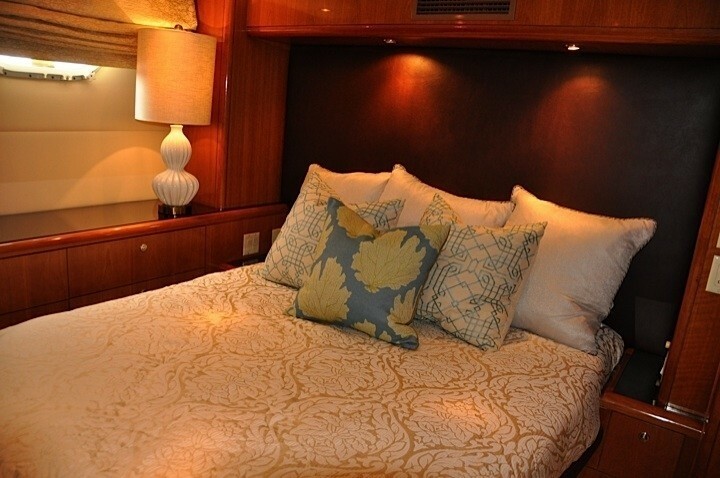 A further VIP cabins and guest cabin each have queen size beds and en-suite facilities. 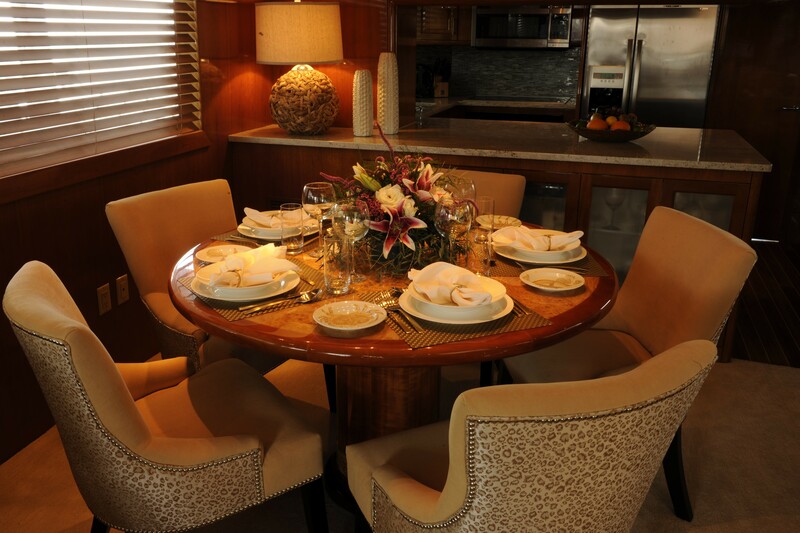 All 3 cabins receive ample natural light and are set in a minimalistic and warm tone. 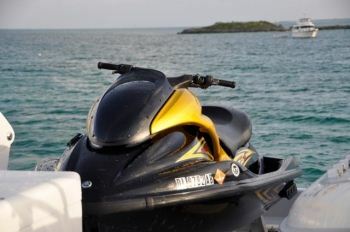 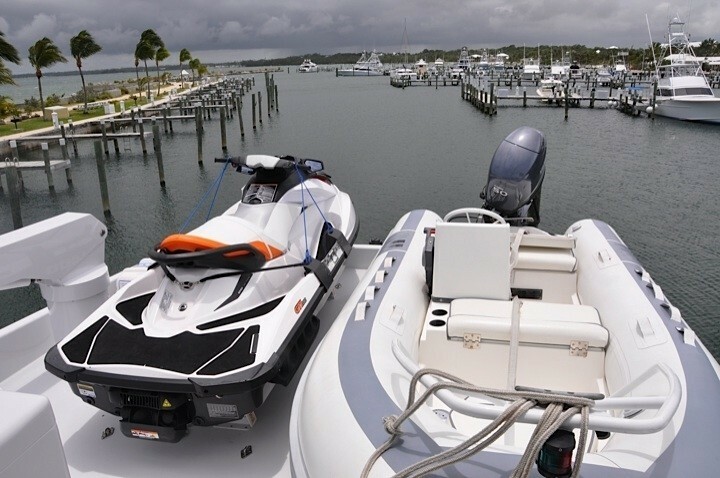 The ISLAND GIRL motor yacht features some great amenities for a yacht of her size, including: 7.9m (26ft) towable tender, 4.2m (14ft) tender, Jet Ski, Water Skis, Wake Board, Knee Board, Snorkel Gear, Floating Matts, Fishing Gear (plus Deep Sea), Satellite TV, IPod dock, Ice Maker, Water Maker, Diving is arranged by rendezvous only.